Home and Garden Decor There are 40 products. 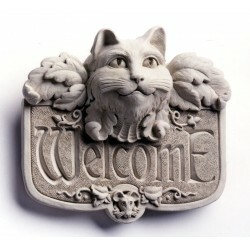 This is more of a traditional welcome plaque. The cat and mouse are both staring straight ahead. It reminds me of a sculpture that might be found on an older building. 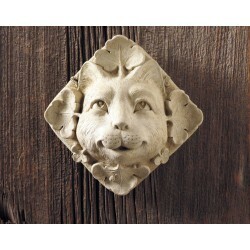 Hang it near an entry way to formally welcome your next guest. Sorry, no PO boxes or express delivery. This item is exempt from all discounts. I wanted a traditional piece with a fun, contemporary feeling. 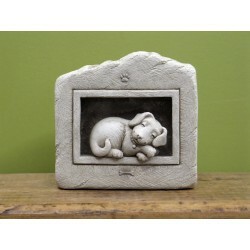 This playful puppy rests on a structure complete with stone blocks and an oak leaf and acorn border. Sorry, no PO boxes or express delivery. This item is exempt from all discounts. Dogs can say so much without a single word. 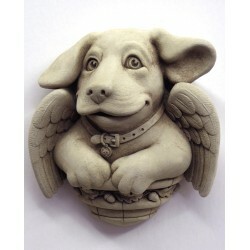 This is a great gift for all Dog Lovers! Sorry, no PO boxes or express delivery. This item is exempt from all discounts. 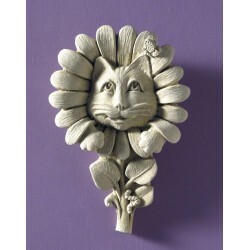 This kitty thinks he's being sly, poking his head through your flowers. Note the tiny details; the butterfly on his ear and the inchworm working his way up the flower's stem! 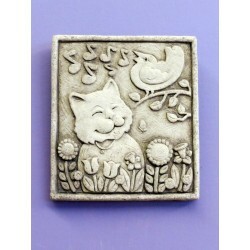 A cute gift for any cat lover. Sorry, no PO boxes or express delivery. This item is exempt from all discounts. Well, this is a surprise in a hot dog bun - 6 "hot dogs" of all breeds sandwiched in between the mustard and bun! 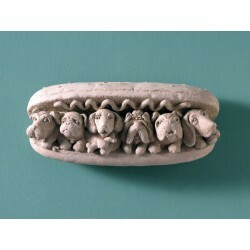 Sure to delight all dog lovers, this whimsical piece will make you smile. Sorry, no PO boxes or express delivery. This item is exempt from all discounts. The garden cat blissfully listens to his bird friend singing away. A wonderful gift! Sorry, no PO boxes or express delivery. This item is exempt from all discounts. Here's a pup who can't figure out how he got stuck in this posy! Surely that ladybug is laughing at him. 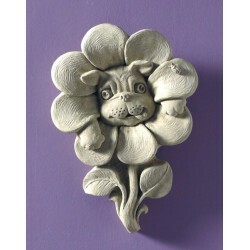 A perfect little gift for a garden lover or a dog lover - or both! Sorry, no PO boxes or express delivery. This item is exempt from all discounts. This puppy curled up contentedly sleeping brings to mind our own dogs sleeping in the sunlight. 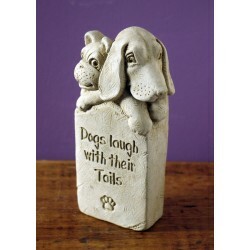 A great gift for a dog lover, it could also stand as a small reminder or memorial of a loved dog. This plaque can also stand alone. Sorry, no PO boxes or express delivery. This item is exempt from all discounts. 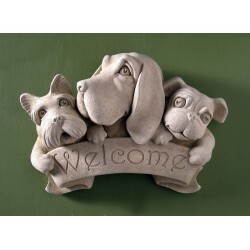 The perfect gift for any dog lover, this plaque depicts three breeds of dogs daring you to enter the house or step onto the deck! This cute challenge is one you can't resist. Sorry, no PO boxes or express delivery. This item is exempt from all discounts. 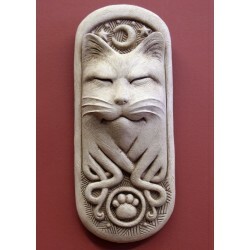 Peacefully watching over your house or garden, the Celtic Cat has a touch of mysticism about it. A great cat-lover's gift! Sorry, no PO boxes or express delivery. This item is exempt from all discounts. This young dog may not be able to tell the temperature, but you can. Easy to read numbers are alongside of the glass thermometer. 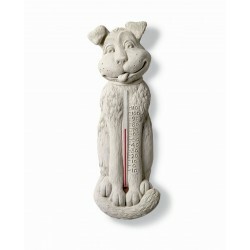 A fun gift for any dog lover. Sorry, no PO boxes or express delivery. This item is exempt from all discounts.